Si actualmente me seguís por Instagram (@selfdressed), ya habréis visto que Pablo y yo estamos de vacaciones por Japón. Nuestra primera parada ha sido Kyoto, ciudad monumental y cultural japonesa por excelencia. Su cantidad de templos y zonas donde pasear entre preciosos jardines Zen es incalculable. Os dejo con esta primera tanda de fotos de nuestra visita a los templos Kiyomizu-dera y Kodaiji. If you are following me on Instagram (@selfdressed) you already know that Pablo and I we are travelling through Japan. Our first stop is Kyoto, great cultural city where the temples and beautiful Zen gardens have no comparison. 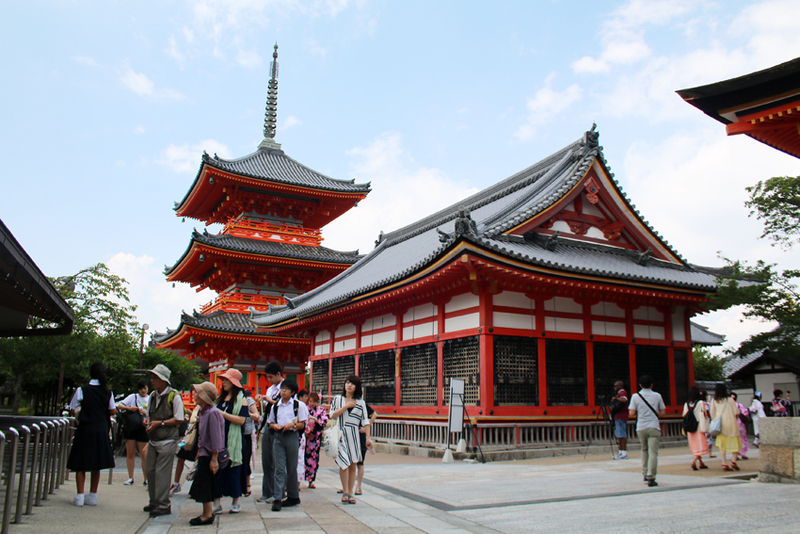 Here I left some pics from our visit to Kiyomizu-dera temple and Kodaiji temple. Amazing! Ooh this is so cool! I an going to JP on the 17th and I am super glad Kyoto was on that list, judging by your photos - which are amazing BTW!! Stunning photos, really love them! !